Defence critics and human rights advocates remain at odds over what's reasonable when it comes to monitoring individuals who authorities believe may participate in terrorism, following the death of terror suspect Aaron Driver in Strathroy, Ont. Former Winnipegger was killed in confrontation with police in Strathroy, Ont. 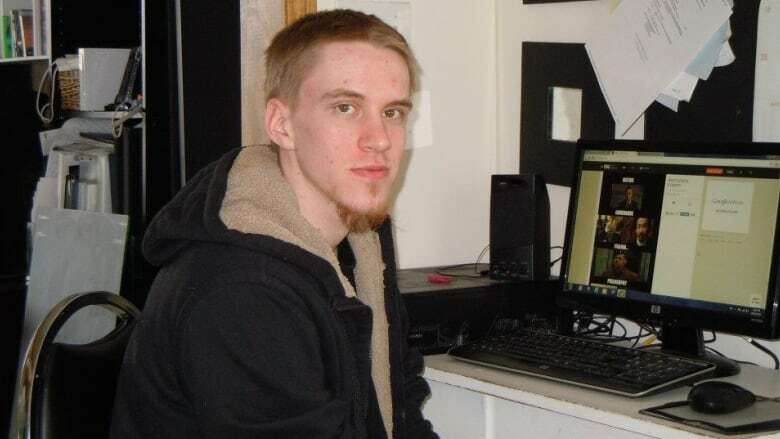 National defence critics and human rights advocates remain at odds over what's reasonable when it comes to monitoring individuals who authorities believe may participate in terrorism, following the death of terror suspect Aaron Driver in Strathroy, Ont. Driver, who was killed in a confrontation with police on Wednesday, had been under a peace bond — a court order limiting his privileges and movements — since February. RCMP announced on Thursday that Driver, a 24-year-old former Winnipegger who openly supported ISIS on social media, had made a "martyrdom video" and was planning an attack within 72 hours. Mike Cabana, the RCMP's deputy commissioner for federal policing, said the FBI came into possession of the video and tipped off the Mounties on Wednesday morning. That afternoon, officers surrounded a taxi that Driver had called and a device was detonated in the back of the cab. Driver was killed while the cab driver suffered minor injuries. Michelle Falk, a human rights professional in Winnipeg, says despite the outcome, it is unjust and unreasonable to limit or detain people on the assumption that they may commit a crime. "It is still a human rights concern if an individual is, we could assume, might be able to commit a crime in the future. It's still unreasonable as far as the individual's human rights to detain that person preemptively," she said. Falk added that Driver had no previous convictions and his Twitter statements in support of ISIS are protected as free speech. "We can't assume that there's a whole swath of individuals in the community, based on their economic situation and based off a whole lot of things, that we know statistically will lead more to a life of crime," she said. "It would be unreasonable to detain people without actually having committed a crime and it's also against their fundamental basic human rights as Canadian citizens." Manitoba MP and federal Conservative defence critic James Bezan holds a starkly different take on Driver's case, saying the tragic ending may have been avoided entirely if authorities had charged Driver in the first place. Bezan said he's calling on the federal Liberal government to maintain the Anti-Terrorism Act, which was brought in last year to give Canadian intelligence authorities greater powers to intervene with terror threats or perceived threats. In March, the head of the Canadian Security Intelligence Service (CSIS) told a Senate committee that the agency has used its extraordinary powers to disrupt extremist plots close to two dozen times since the fall of 2015. "The reality is that we're not immune to terrorism, and not only is it happening around the world but it can happen right here in Canada," Bezan said. "We're just very lucky that law enforcement was able to stop him before he was able to act out his own terrorist plot that he'd been working on." Driver moved to Winnipeg in 2011 and by 2014 was on the CSIS's radar for his online activities. In June 2015, authorities raided the room Driver had been renting at a Charleswood home. RCMP arrested and obtained a peace bond, saying they considered him a terror threat. When Driver agreed to the peace bond in February 2016, he was subjected to a number of conditions. Falk said she believes Driver's case could have been handled differently. "I think that if Aaron Driver would have been approached with a more compassionate tone and gone through counselling and being talked to about the things that he had said on Twitter … there might have been a different path," she said. "I think that the sort of the heavy hand of the law that he had been dealt with might have made him just a little bit more disgruntled."